Those who have already registered to attend the event can now register to join Catherine Fitts and Louis Boulanger for dinner if they wish. If you are interested in attending a private dinner with Catherine Fitts and Louis Boulanger for a fee of $40.00 NZ Dollars – to be paid directly to Louis Boulanger evening of the dinner – you must pre-register. There are only 20 spaces. Louis has booked a private dinning room, situated close to the beach at 425 Tamaki Drive, St Heliers. This is an invitation to attend an exclusive and special event of a type that is rare in New Zealand. Discerning and thoughtful people with open and enquiring minds already know that the mainstream media do not tell the truth about the real state of affairs in the World, nor do they properly investigate the half-truths and disinformation streaming globally. We’re being systematically misinformed on a whole spectrum of issues vital to our health, wealth, well-being, security and freedom, and there are only a few courageous souls who have taken it upon themselves to challenge the narratives we’re constantly pressured into accepting as the official reality. One of those motivated, highly articulate and daring people standing against prevailing orthodoxy is Catherine Austin Fitts. She is coming to Auckland. You can hear her speak. You can meet her. You can question her. 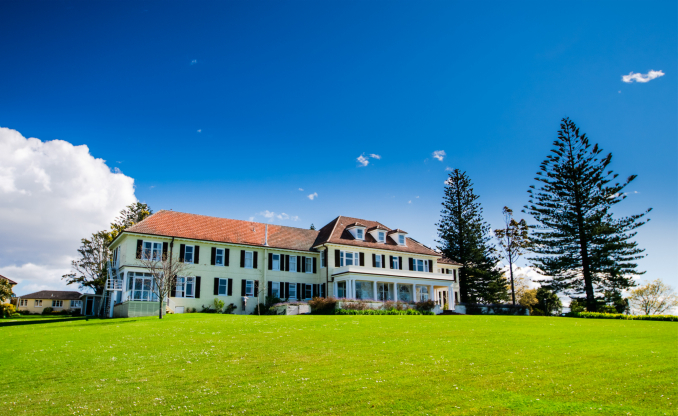 On Saturday 19th May at 4pm no more than 40 invited guests can join Catherine at one of Auckland’s iconic homesteads at 268 West Tamaki Drive, Glendowie for a 2 hour guided conversation which will expose the myths, lies and deceptions we are subjected to on a daily basis. –	Deep State Globalists intending to destroy the US Constitution. –	21 Trillion dollars is missing. Where did it go? What’s going on? –	Official reality and false flag events…. including school shootings. –	The weaponizing of the weather and the menace lurking in 5G. –	The ‘break-away civilization and the secret space program. This will be a ‘fireside chat’ with someone who is not afraid of the truth. She recognises that there is an official reality, but then there is also a reality with many unanswered questions. She looks at what the money is doing to inform both and connect the dots. This gathering will be intimate and informal, but the subjects covered are not for the casually curious. You will need to have already developed a taste for ‘going behind the scenes’ in a meaningful way.